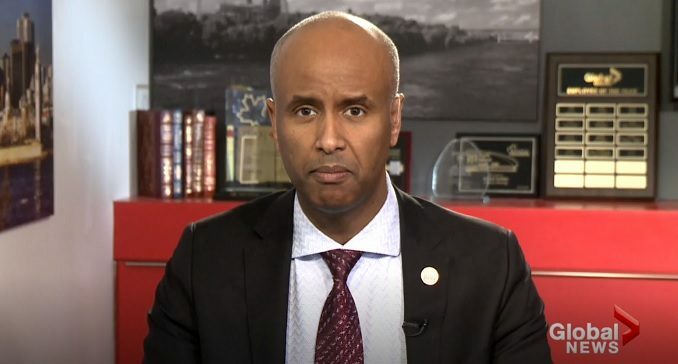 Immigration Minister Ahmed Hussen told a bigger whopper of a lie when appearing on Global’s The West Block on Sunday. He also told a truth the Liberals don’t want out there. “We do not appreciate or welcome irregular migration, we believe it is illegal to do that,” Hussen said. The whopper of a lie is that the Trudeau administration does not “appreciate or welcome irregular migration.” The truth the Liberals don’t want out there is the second part of the story. 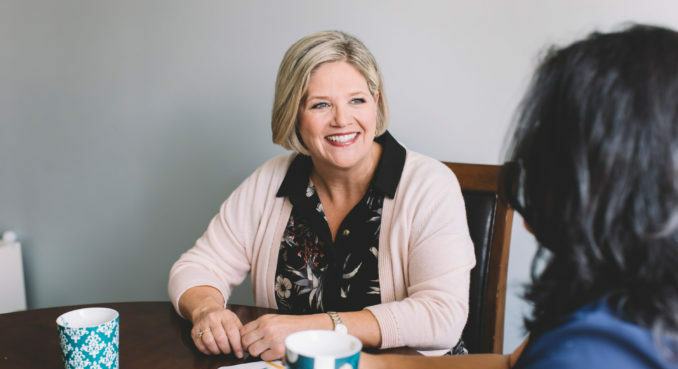 “We believe it is illegal to do that,” Hussen clearly said. In debates in Parliament, on TV panels and online the Liberals and their supporters have disputed the idea that these crossings are illegal. They have ignored the giant signs posted by the government stating it is illegal. Likewise they have ignored that those crossing are immediately arrested. So I am glad that Hussen is telling the truth on that front. As for the whopper of a lie, let’s examine that below the video. They can say that but their actions point in a different direction. We can point to Trudeau’s infamous tweet but that is hardly a concrete action to welcome this “irregular” migration. Putting up a tent city, a refugee camp, on the border with the United States would be a welcoming action. Sending these would be “asylum seekers” to the destination of their choice in Canada after arriving in Quebec would also qualify. So too would adding $173 million in the latest budget to help process all the people flooding across the border. 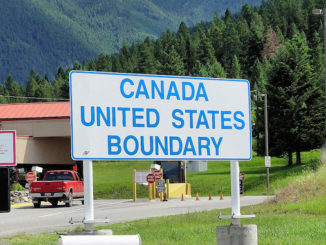 More recently we learned that more than 800 border agents are being moved from the GTA to the Quebec-New York border. That could result in delays for you if your are returning to Canada but make things speedier for the border jumpers. What all of these actions have in common is that they are about making the jump across the easier. Are those the actions of a government that does not welcome this migration? No, these are the actions of a government that doesn’t really want to stop what is happening. No matter what the minister says. This guy has to leave and exiled, he is completely self serving and easily being brain washed by the prime minister. That is very scary with a head that size. So how many have been deported in the year and a half since they started walking in? I have not heard of any deportations.. How can we find out? 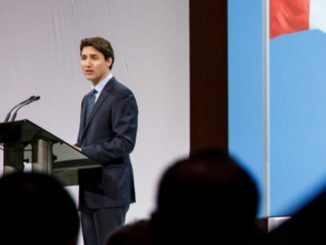 Trudeau does not want to stop what is happening and would like to be a dictator so no Canadian but him makes a decision.Its called selecting your voters.As for the minister of immigration,I have seen him in action at two public town hall meetings.Questions answered were will selected and presented by a staff member to suit what the minister had prepared to say,I do believe.During open question period ,he answered about 3 questions vaguely and then said I’m out of time and quickly disappeard. Most of us who had gone for answers left disgusted and uninformed.I don’t believe he works in the best interest of the Canadian people. I hope the next election puts Canadians working with a government staff who actually listens and acts on Canadians rights. An islamic associated with CAIR – a branch of the moslem brotherhood – which is a terror organization. He is an elected terrorist. 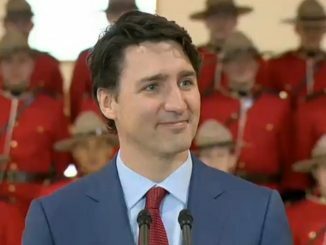 Canada is in danger because of Trudeau’ actions against free speech and his dismantling of our borders in a quest for votes. Disgusting and possibly treasonous.